There’s no denying the satisfaction in Matty’s broad grin. 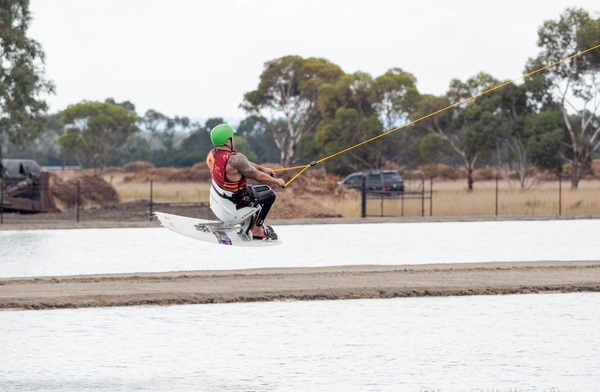 Wheelchair-bound on land, he’s just surfaced from a lap on a cable wakeboard around Melbourne Cable Park’s main lake in Bangholme. It starts with him carefully seated on a custom wakeboard. Then he hangs on tight as he’s hauled from the dock at speed and bounces and skims his way across the water. “It’s great,” he says as he drips on the dock. 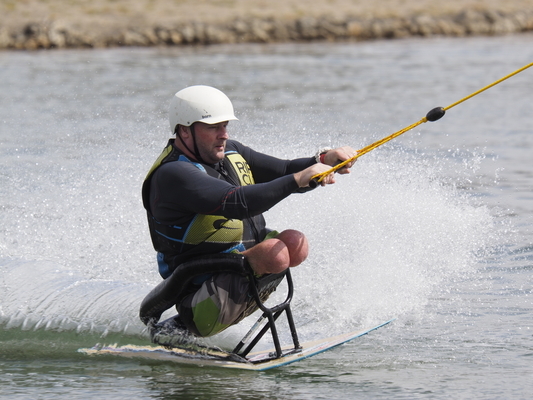 An interested observer is Jerome Elbrycht – a French champion seated wakeboarder who is running ‘accessible wakeboarding’ clinics at the park this month. Elbrycht was paralysed in a skateboarding accident almost 20 years ago. Since then he’s built an impressive repertoire of tricks as a seated wakeboarder and a freestyle skier in the snow. He’s been competing in wakeboarding for 10 years, renowned for his 180-degree ‘shifty rewind’ aerials. “I think whatever a kneeboarder can do, I can do that. Elbrycht is also a champion sit skier who took out the Mono Ski Cross event at the X Games at Aspen 2016 in front of millions of TV viewers. Before the accident his life was travelling ski resorts as a snowboarder and chef. It wasn’t easy to adjust, he said. He was impressed by the Bangholme set-up, especially that it runs two cables – one for right footers and one for left-footers or goofy-footers. 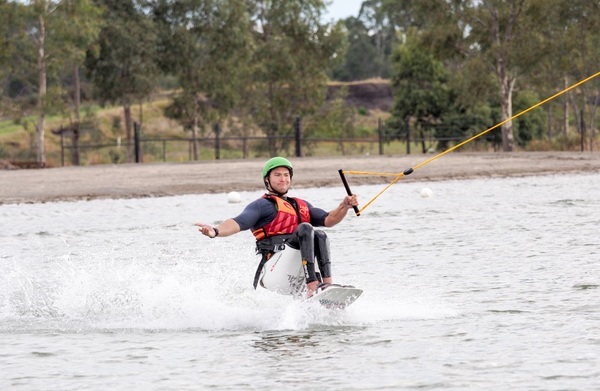 The park is the only one in Australia that provides accessible wakeboards. It’s also invested in a motor boat with cutaway sides to grab riders out of the water. Operator Ian Clark says the park is dedicated for providing a ride for anyone, regardless of ability – whether able to balance on their feet, paraplegic or quadraplegic. “It’s not just offering a sporting opportunity for people in a chair,” operator Ian Clark said. The park offers an ‘accessible’ wakeboarding sessions on Saturdays, as well as Tuesdays and Thursdays for a limited time.